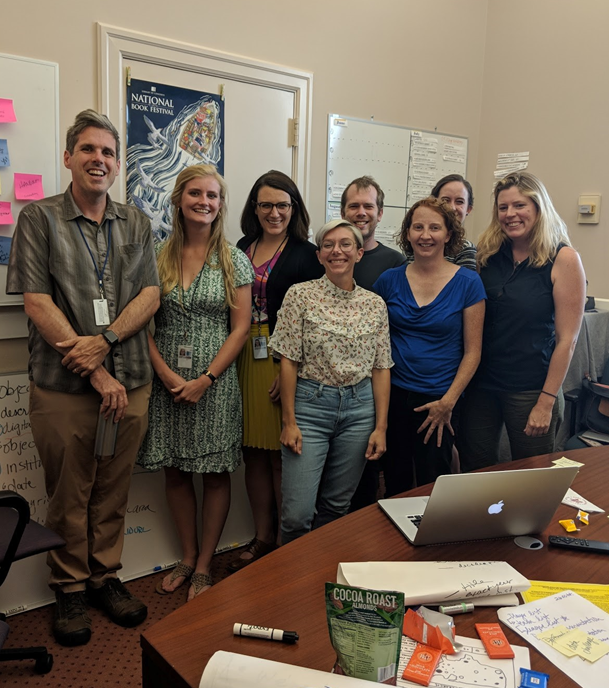 This is a guest post from 2018 Library of Congress Labs team Junior Fellow Eileen Jakeway that discusses her work on a collaborative Digital Scholarship pilot with the John W. Kluge Center. In her address at the 2018 Junior Fellows Program closing ceremony this August, Manuscript Division Junior Fellow Patrice Green said that she learned a valuable lesson while working reference: “you teach the people you have.” This statement struck me as particularly insightful and pertinent to my work developing a digital scholarship workshop with the Library of Congress Labs team and the John W. Kluge Center this summer. As a starting point for creating a workshop by the same name for the Kluge Fellows, I first consulted Sam Herron’s digital scholarship resource guide. I quickly realized that Sam’s extensive guide covered a vast range of topics in the digital humanities, also called computational humanities, that would be nearly impossible to discuss in detail in an in-person workshop. For some time, I toyed with the notion of re-inventing Sam’s guide as an online tutorial but ultimately concluded this would amount to reinventing the wheel unnecessarily. Indeed, there are already available online lessons offered by programs including the Programming Historian, Stanford’s Tooling Up for the Humanities workshop, and Miriam Posner’s introductory Digital Humanities course. Sam’s guide and these others offered a comprehensive and high-level landscape introduction to the world of digital scholarship writ large. 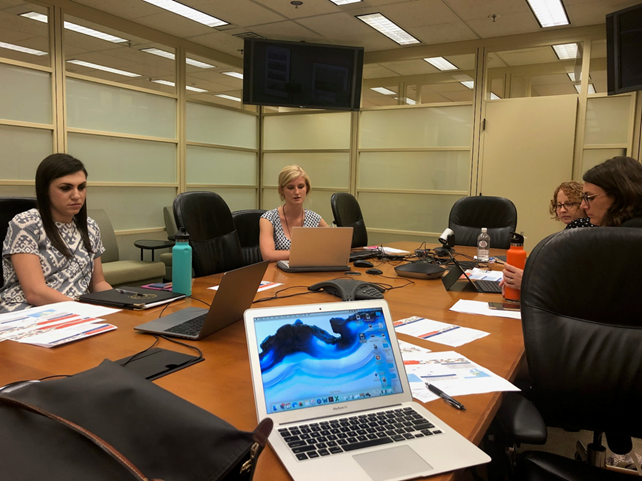 My goal, by contrast, was to craft ground-level support and training for Kluge fellows in tangible efforts that were immediately implementable. To this end, I first verified and extended my own competencies in a range of digital tools and methods: data visualization tools like Tableau, Voyant, Plot.ly and Gephi; timeline tools like Timeline.js and Netaline; mapping tools including Google My Maps and ArcGIS; and data management tools such as OpenRefine, Jupyter Notebooks, Atom and Github. This experience also familiarized me with the Labs website and the educational materials related to computational methods available on the LC for Robots page. One result of these explorations was a “one-pager” titled “Digital Scholarship: Getting Started.” This became part of a larger Digital Scholarship 101 information packet, designed as a visually-appealing, condensed version of the many tools explored by Sam in her resource guide. In developing my own skill-sets and reading works by scholars, librarians, educators and developers similarly engaged in the exploration of the “digital” and the world of “scholarship,” a tension emerged between content-specific research and the development of technical skills necessary for the implementation of a “digital project.” To bridge this divide, I added a section listing further support for digital scholarship in the DC area–including various centers at George Mason University, the University of Maryland and the University of Virginia–to link interested researchers with extensive content knowledge with others possessing more advanced technical skills. This evidence led me to choose the following tools for my workshop: Zotero, a reference management system designed in-house at the Rosenzweig Center for History & New Media, Voyant Tools, a browser-based text analysis tool, Hypothes.is, a browser-based annotation tool, Google My Maps, a mapping tool, and Timeline.js, a browser-based timeline tool. I ended the workshop with a tutorial on how to make an API request. After identifying the tools and workshop structure, I settled on a format that allowed me to give participants: 1) an introduction to the term digital scholarship 2) an overview of each tool and 3) time to practice making a product using one of the tools. Before piloting the workshop for the Kluge Fellows, I ran a demo with the LC Labs team. Their feedback helped shape a more focused approach that delivered instruction on distinct tools. Then, the big day arrived! Of the eight attendees who attended the pilot workshop, six filled out a survey. Of these, 100% said having an in-person workshop was useful. They liked the range of tools showcased and having hands-on time to practice. On a scale of 1-5 in terms of how useful the workshop was, two responses scored it a “3”, one answered “4” and three answered “5.” I was pleased with these results, given this workshop was the first of its kind, but made necessary revisions based on them, such as cutting down prefatory material and giving more concrete examples of tool applications. I also created handouts for each specific tool, leading to the creation of the final packet that can now be accessed online at labs.loc.gov. Recalling the quote from Patrice Green above: my project stood, like my own intellectual interests, at the intersection of teaching and research. 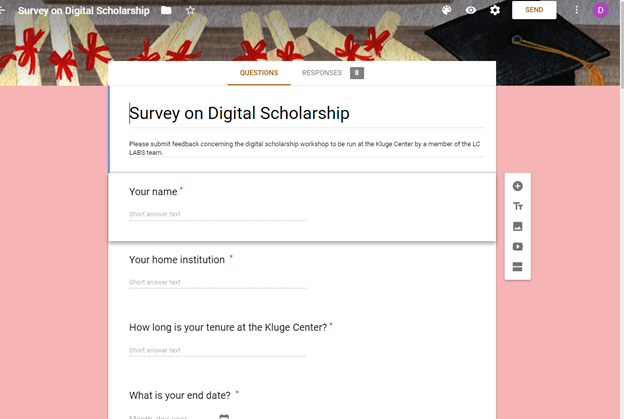 The task was to create a digital scholarship workshop for the fellows in residence at the Kluge Center. 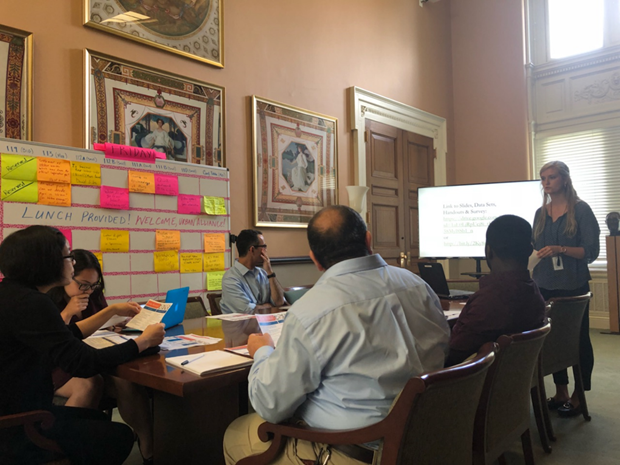 However, it was not until I got to know these scholars and extant support for digital scholarship at the Library more broadly that I was able to identify the needs undergirding such a workshop and develop my materials accordingly. This blog post has been an attempt to elucidate the process of identifying, uncovering and meeting needs around digital scholarship; and further, to unpack the parallel acts of “teaching” in the form of developing and delivering a workshop and “researching”–in the form of advancing my own technical and digital humanities skills, as well as familiarizing myself with the various forms institutional support for this kind of work. I will conclude with an anecdote. Unrelated to my workshop, I participated in a flash build between LC Labs and JSTOR Labs this summer. The task consisted of rapid prototyping–in only one week!–a functional digital tool for exploring Library collections. The Mapping an American Pastime tool created by the LC Labs team is exceptional. In addition to its tangible payoff, this event showed me the value of prototyping as an integral workflow that tests new ideas, pushes research to its limits, and leads to discovery that ultimately contributes to a larger vision. In a sense, the experience of designing, developing, implementing and evaluating a digital scholarship workshop was in itself a rapid prototype: one that I hope will continue as part of the Library’s work in the future. This is a syndicated post. Read the original at The Signal 2018-08-27.